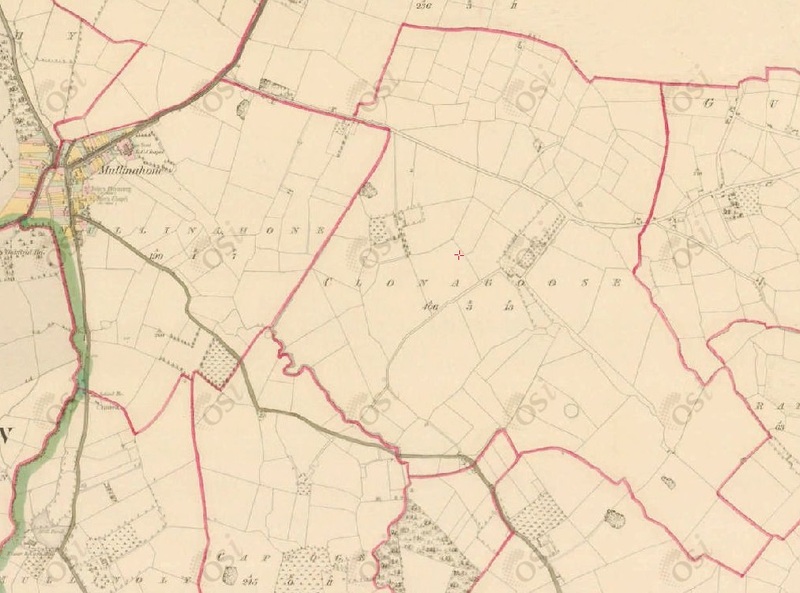 Clonagoose and Mullinahone on 1829 to 1842 map. John Kickham, died in childhood. James Kickham, died in childhood. bapt 1838 [Mullinahone RC par records], (todo) see full entry. William Kickham Bradshaw, born 23 Apr 1913, Parkmore [GROI]. born Joseph Harold Bradshaw, 11 May 1914, Parkmore [GROI]. died 10 Nov 1987, age 72 yrs [grave, Kilvemnon]. died 6 Mar 1988, age 30 yrs [grave, Killaghy]. 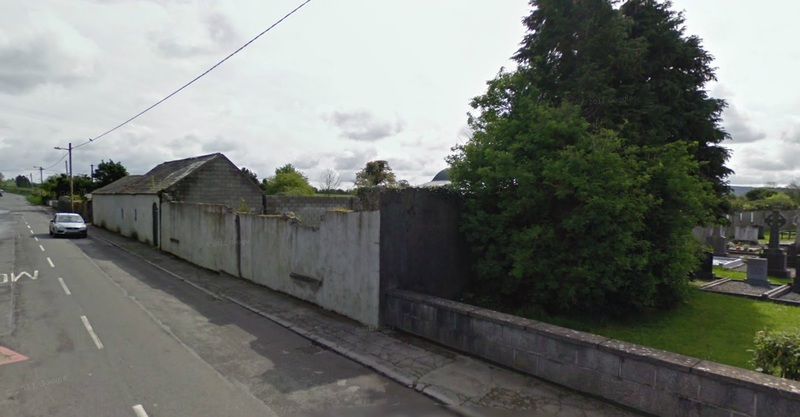 Thomas Kickham, who held plots 33 and 34, Callan St, Mullinahone in 1846-50, and is listed as occupying plot 33 in 1850. Thomas Kickham of Mullinahone, who wit [Deed, 1855]. George Cashel lived at plot 34, Callan St in 1856-58. Plot 33 is the demolished house beside the church. Plot 34 survives further up the road.